Is human trafficking necessarily an evil? Is there any situation in which trafficking could help, rather than harm, its victims? What if, for example, the only way to give my trafficked friend M her freedom was to help bring home her Chinese-born child – which would be difficult, if not impossible, to do legally? Could M be condemned to a lifetime in captivity for the sake of her baby girl? What damage would be inflicted on both mother and child if M was to leave her baby behind? How could we pursue justice against M’s “husband” and his family if they were left as the only care-givers for M’s daughter? Would I, in fact, be willing to become a trafficker myself, to help M bring her baby home? These are but a few of the thorny questions I’ve wrestled with over the past months, in trying help M find a solution to the dilemma that no mother should ever have to face – the choice between her child and her freedom. I am not here to bring M home. I am here to create the possibility of bringing M home, if that’s what she should choose to do. I am here to empower M to make the choice she’s been denied over the past three years, and to respect her decision, whatever it may be. It may be that M opts to remain permanently in China – or, if she does come home, it may be that she ultimately chooses to return to her daughter in China. Three years ago, M’s decision would have been simple. Now, it’s become incredibly complicated. We all need to be aware that there are no easy options for M at this point in time, and none of us can pretend to understand the difficulty of her position. None of us, that is, but P.
It’s time to begin sharing what is perhaps the most important story of all – a drama that’s been unfolding in the background for the past five months, and one that’s necessarily been kept a secret until now. After meeting with M in China more than five months ago, I’d felt very concerned and personally responsible for her safety. While the very fact of our meeting was a phenomenal success, I’d failed to assist M in any concrete way. M remained unable to call her family, or to contact the world via email or Facebook, and I feared that in meeting M, I’d only placed her in greater danger. 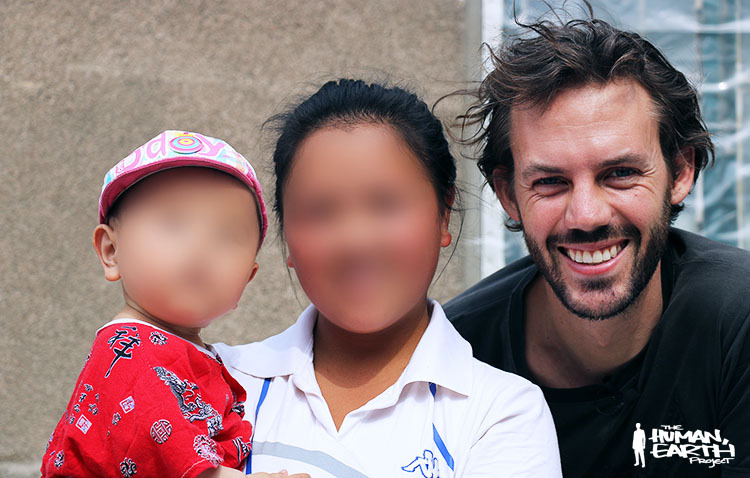 By the time I was able to meet her, after a week of frequent and extended phone conversations, M had already made the extraordinarily difficult decision to return to her home and family in Vietnam. At that time M was, in fact, much more determined in her decision than P, who still wavered. M was aware that it would be extremely difficult, if not impossible, for her to legally bring her Chinese-born daughter to Vietnam. After a great deal of thought, M decided it would in fact be better to leave her little girl in China. M believed that the presence of her baby in Vietnam would make it near-impossible for her to work and potentially re-marry, and would strain her already-uncertain relations with her family. At that time, however, M’s 10-month-old daughter was frequently ill, and was hospitalised on several occasions. M was unable to leave her little girl in such a state, and made a personal compromise. She decided to wait two more months until the child’s first birthday, in the first week of August. By that time, M was certain her daughter would be strong enough without her, and she herself would be free to leave. Meanwhile, however, M’s “husband” and his parents were telling her it was time to have a second child; they wanted a boy this time. Though M abhorred the idea of a second child, she was given no choice, and there was the possibility that she could fall pregnant at any time. Two months seemed an acceptable risk, but any further delay would be dangerous – in any case, it was M’s own decision, and had to be respected. I had provided M with all the information and advice she needed to make her decision. It was now my role to assist M with her choice, rather than trying to change her mind – and so I began making my preparations for the first week of August. August, however, lay in wait with a few twists of its own. Subscribe here to receive all the news from The Human, Earth Project and, if you know somebody who might be interested in M’s story, please share this with them. Just a few shares on social media can make the difference between hundreds and thousands of viewers, and help us raise awareness of what an incredibly complex issue human trafficking truly is. Thank you.